A new marker that could be used to diagnose fatal breast cancer up to one year ahead of current methods has been identified in a study led by UCL. The study, published in Genome Medicine today, found that changes detected in a part of DNA which the researches named EFC#93 could suggest early signs of deadly breast cancer. Importantly, these abnormal patterns are present in blood serum before the cancer becomes detectable in the breast. A team of researchers found that in breast cancers small molecules of carbon and hydrogen become attached to EFC#93 in a process called DNA methylation. Abnormal DNA methylation is common in human tumours and methylation changes occur very early in breast cancer development. Professor Martin Widschwendter (UCL Department of Women's Cancer) said: "For the first time, our study provides evidence that DNA methylation markers such as EFC#93 provide a highly specific indicator that could diagnose fatal breast cancers up to one year in advance of current diagnosis. This may enable individualised treatment, which could even begin in the absence of radiological evidence in the breast." Professor Widschwendter added: "We found that the presence of EFC#93 DNA methylation in blood serum correctly identified 43% of women who went on to be diagnosed with fatal breast cancers within three to six months of giving serum samples, as well as 25% of women who went on to be diagnosed within six to twelve months of giving samples." The researchers first analysed EFC#93 DNA methylation in blood serum samples from 419 breast cancer patients taken at two time points: after surgery (before the start of chemotherapy) and after completion of chemotherapy. They demonstrated that abnormal DNA methylation occurring in samples taken before chemotherapy was a marker for poor prognosis independent of the presence of circulating tumour cells (cells that have shed from the primary tumour into the blood or lymphatic system and are circulating throughout the body). To assess whether EFC#93 can diagnose women with a poor prognosis earlier (that is, before the cancer becomes detectable) the authors further analysed serum samples of 925 healthy women, 229 of whom went on to develop fatal and 231 of whom went on to develop non-fatal breast cancer, within the first three years of donating serum samples. "Importantly, EFC#93 did not detect non-fatal breast cancers early. In comparison, mammography screening has a specificity of 88-92% but leads to very substantial over-diagnosis, which means that tumours are detected that would never have caused any clinical symptoms. Subject to further study, using cell-free DNA as a marker, as we have done here, is a promising way of avoiding this issue. " The authors caution that a lack of appropriate serum samples is a key limitation of this kind of study. 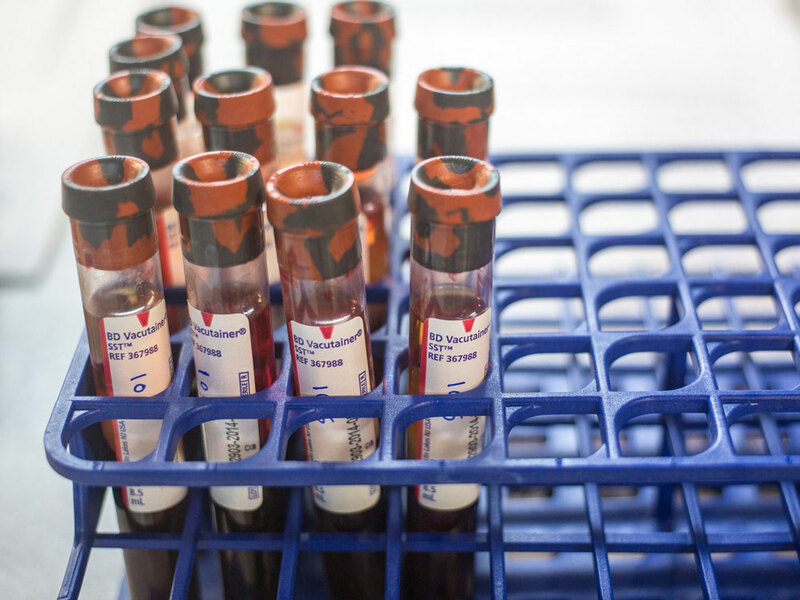 Blood samples that are not processed immediately after blood is drawn, or are not collected in special tubes, contain large amounts of normal 'background' DNA leaked by white blood cells, which makes it hard to detect small amounts of tumour DNA. Professor Widschwendter said: "The normal DNA in these samples usually emits a much stronger signal compared with the short fragments of tumour DNA. Yet despite the massive contamination of our population-based samples with normal DNA, we were able to observe a clear tumour DNA signal." According to the authors, clinical trials are now required to assess whether EFC#93 positive women, who do not have cancer that is detectable by mammography, would benefit from anti-hormonal therapy before the cancer becomes visible in the breast. The fact that DNA methylation markers were able to detect 58% of ovarian cancers up to two years in advance of diagnosis - as reported in a second paper today in Genome Medicine - is also very encouraging. Professor Widschwendter's team is currently preparing a large scale population-based cell-free DNA research program.